Baby’s sweet little feet, sure leave a huge carbon footprint. 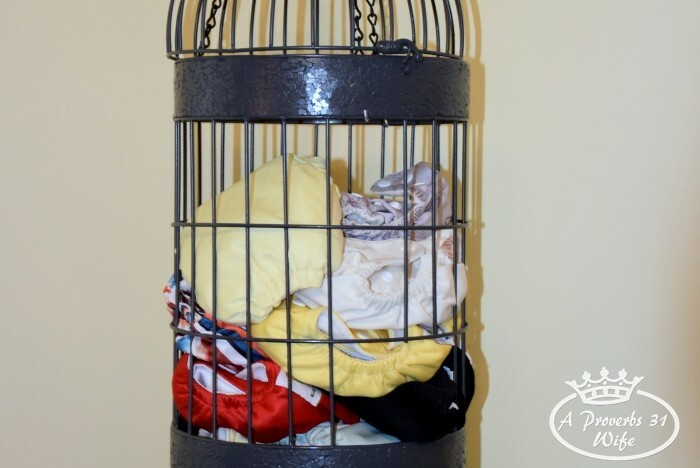 Diapers, wipes, tissues, an insane amount of clothes that they grow out of within 3 months or less, and let’s not forget all those clothes are constantly needing washed. And when they get a little older, toys. Fun noisy toys that practically EAT batteries. As a christian I feel that we should be good stewards of the earth God created for us. This involves every aspect of how we live and while babies are rather wasteful, there are many ways of reducing baby’s carbon footprint. Please note: Only superwoman can do all of the following, all of the time. I’m just super-woman’s sidekick 😉 so I get a little grace when life gets in the way. 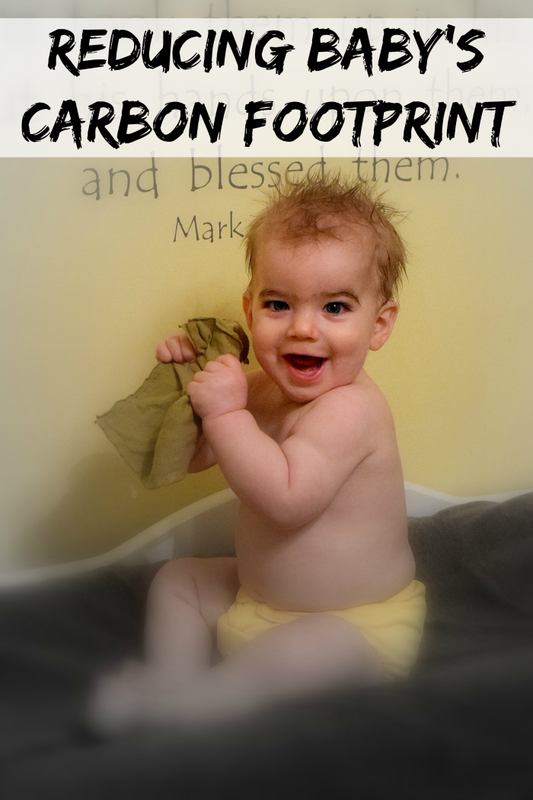 5 Ways of Reducing Baby’s Carbon Footprint. Disposable diapers just don’t break down. Kolton’s disposables will still be hanging out in the landfill when HE has babies. 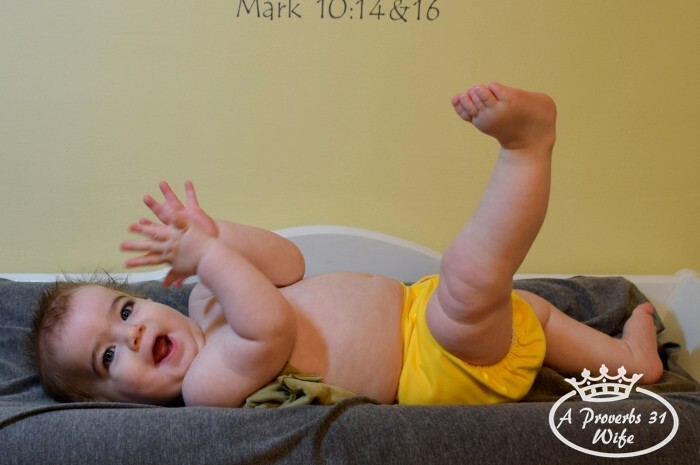 While there are times when cloth diapers are not practical, using cloth diapers as much as possible goes a long ways when you are trying to reduce your baby’s carbon footprint. It makes sense right? 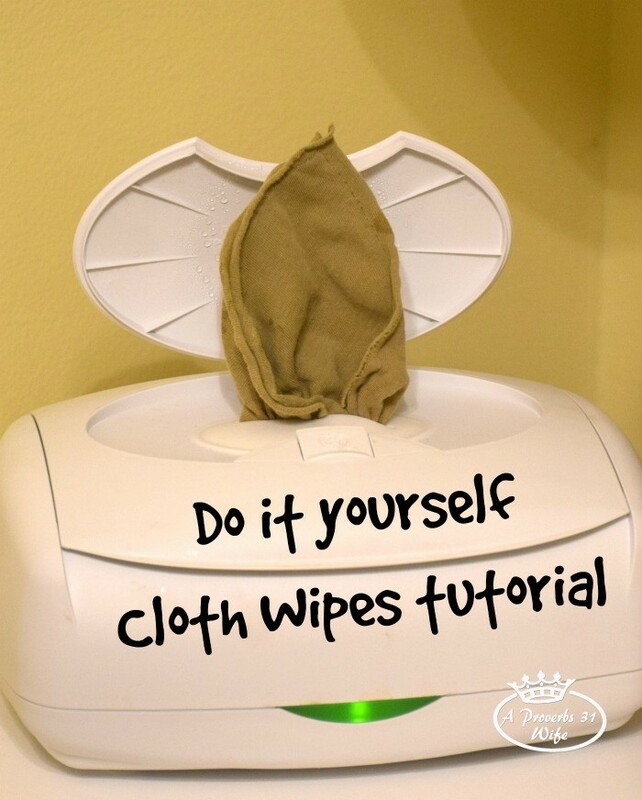 If you are using cloth diapers, why not use cloth wipes? I made flannel wipes before Kolton was born, then my mom made some single-ply knit wipes. The flannel ones have not held up at all, while the knit ones are still nice and really soft. 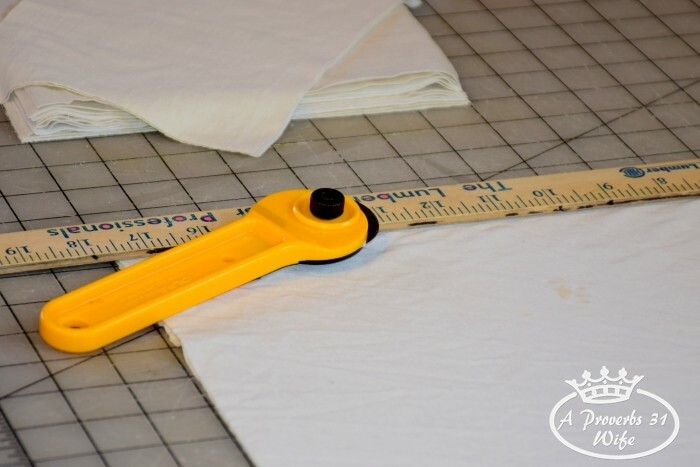 I needed more cloth wipes so keep reading to learn how I made them by up-cycling old knit sheets. 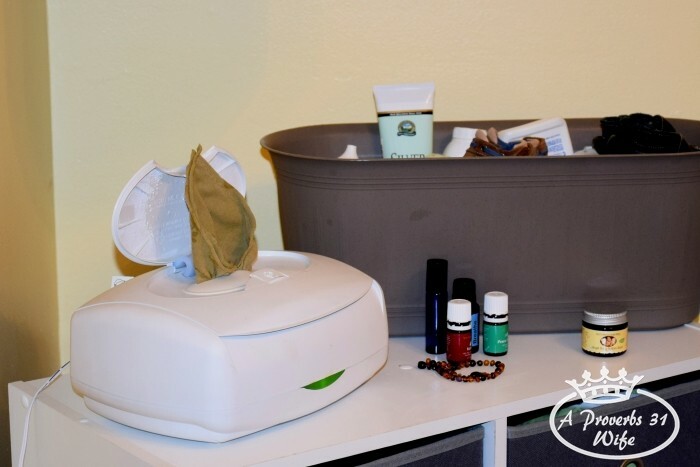 Before baby, we found ourselves using 3-4 rolls of paper towels a month. I made some towels with two pieces of flannel in the shape of a regular paper towel and rolled them up. Now, even with a messy baby we easily go 3-4 months on one roll. Right before Kolton was born I hemmed up some cloth napkins and they work great even on a messy baby face. 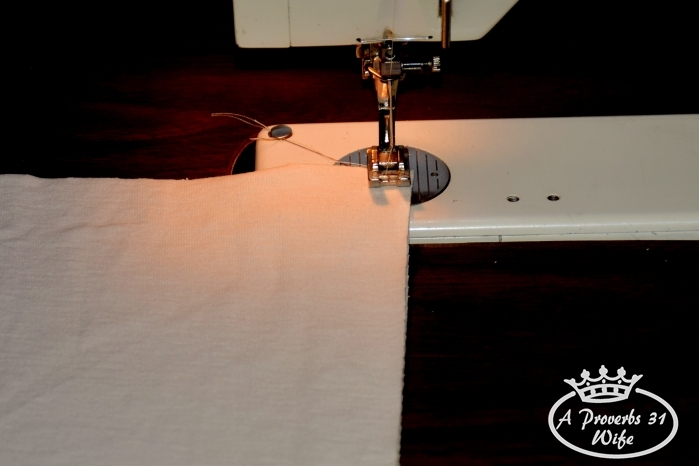 Having cloth paper towels and napkins in place before baby was born helped keep costs low even with a messy baby. The kids have had colds most of the winter it seems. The 4 year old brings a cold home from school and nicely shares with her little brother, who shares it with Kolton. Every Time. We were going through so many tissues that I decided to rip up old knit shirts and sheets and use them instead. 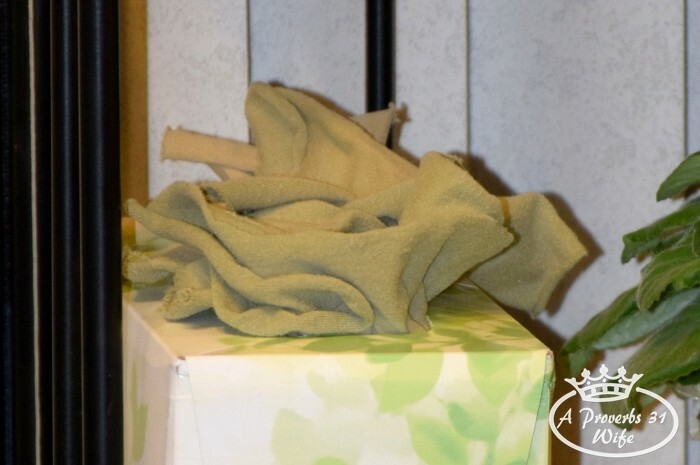 They are softer than regular tissues and work great. “What’s that?” you say? “Recycled batteries?” They are a real thing! The first battery on the market to use recycled materials is the EcoAdvanced AA and AAA batteries from Energizer. 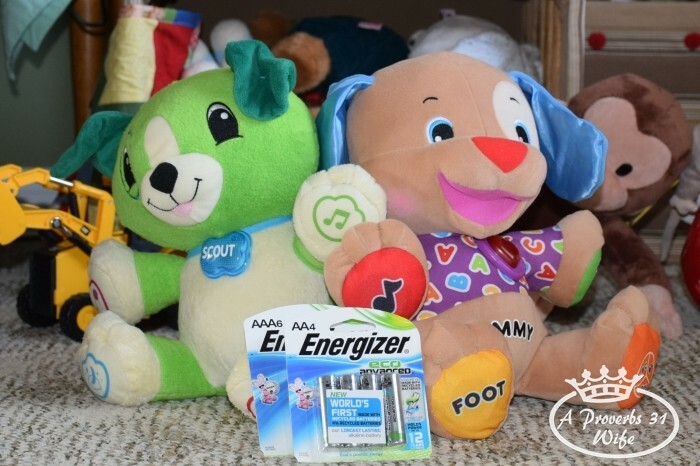 These EcoAdvanced batteries are boasted to hold power up to 12 years in storage and to be Energizer’s longest lasting alkaline batteries ever! Now these fun toys can continue eating batteries at a much slower pace and I can feel better about using them. 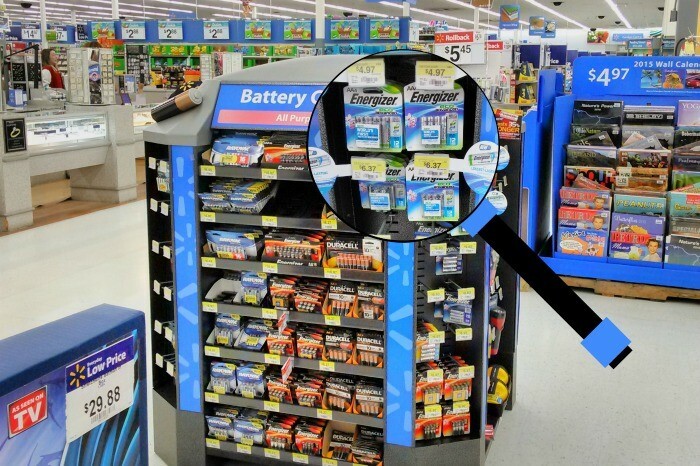 I discovered the Energizer EcoAdvanced batteries in the battery center at Walmart right at the top, in the corner section. 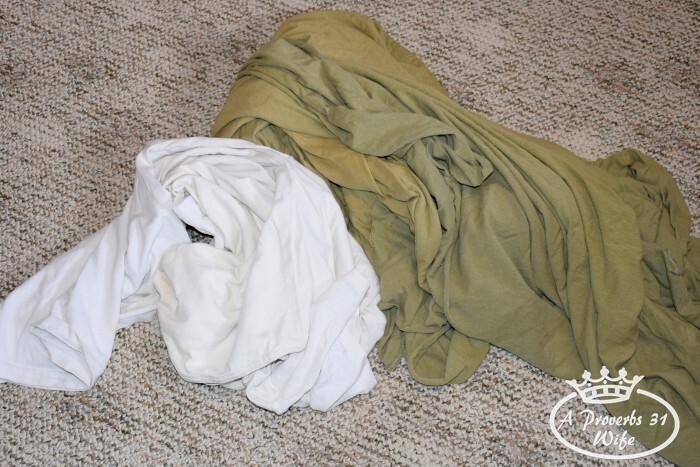 I started with old tee-knit bedding that had a couple holes, and some old raggedy tee-shirts. I folded and cut until I had a stack of similar sized squares. Squares that had holes in them were tossed, and I matched the remaining squares into pairs. 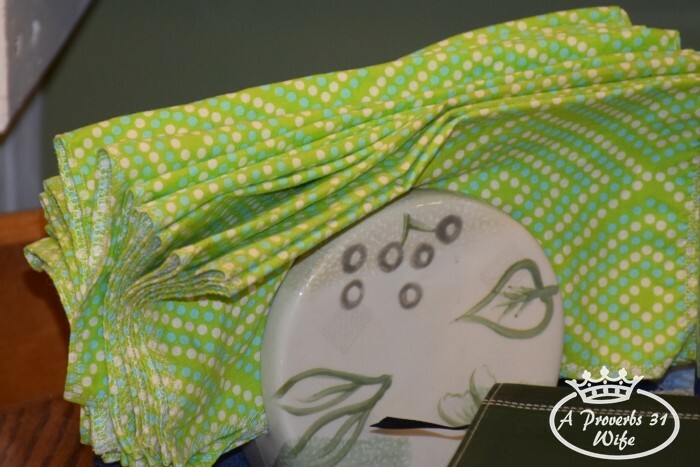 Then I went to my sewing machine and using a 1/4 seam, sewed around the edges of the two squares that were placed together. The final result was about 20, two-ply thickness of tee-knit baby wipes. These cloth wipes are way softer than the flannel ones ever were! I use them on Kolton’s face in the mornings and he doesn’t complain one bit about it! Do you think babies leave a huge carbon footprint? What is something you do to reduce that? Tell me in the comments below and enter this giveaway!